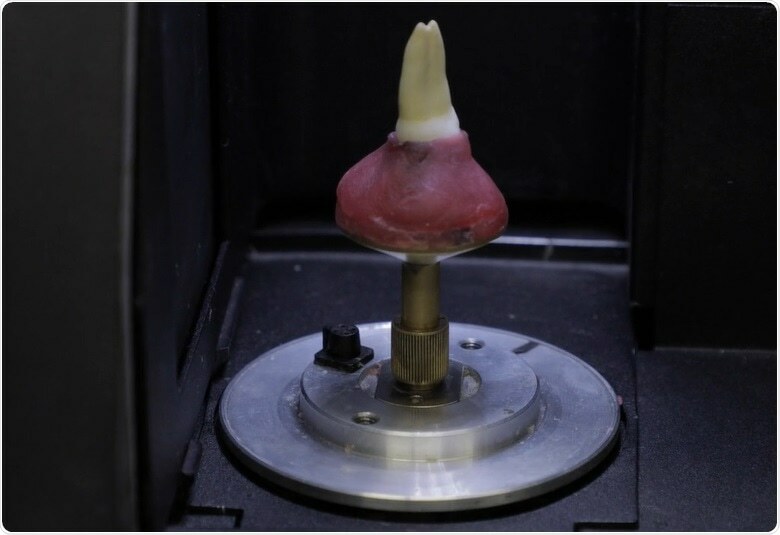 In this interview, Marco Versiani describes the Root Canal Anatomy Project, which involves sharing free images and videos acquired using Micro-CT, to professors, students and clinicians across the world. Please can you introduce yourself and the research you do at the University of Sao Paulo? My name is Marco Versiani. 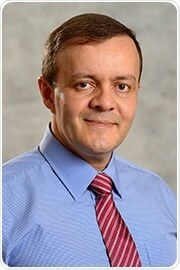 I am an invited professor and researcher at the Dental School of Ribeirão Preto, University of São Paulo, Brazil. In recent years, Dr Sousa Neto and I have been researching the influence that root canal anatomy has on several endodontic procedures. Endodontics is the branch of dentistry that involves, amongst other areas, the study of root canal anatomy, which is the internal anatomy of teeth. More than 2000 years ago, Hippocrates stated that anatomy was the foundation of medicine. By extension, we could say that root canal anatomy is the foundation of the endodontic specialty. The root canal can be defined as the space inside a tooth that contains the dental pulp tissue and is the area where endodontic procedures are performed. Micro-CT for Dental Applications - The Root Canal Anatomy Project - Part One from AZoNetwork on Vimeo. Please could you describe how micro-CT is used in dentistry? The application of micro-CT in dental research has generated very impressive and significant results. Micro-CT is a non-destructive and accurate tool that can be used to evaluate different structures from the external and internal aspects. Another great advantage of micro-CT is that it allows to evaluate the same structure from the same sample at different stages of an experiment. Both micro-CT and cone beam CT (CBCT) are non-destructive imaging tools. We could say they are quite similar in terms of function; however, micro-CT can only be used for laboratory purposes, while CBCT can be used for both laboratory and clinical purposes. We therefore use CBCT for patient diagnosis and in vivo studies on root canal anatomy. However, since micro-CT is more accurate than CBCT, we use this tool to validate the results and evidence that we acquire from our in vivo CBCT studies. Most of endodontic literature use destructive methods, such as sectioning and clearing techniques, for the study of root canal anatomy. Although sectioning teeth in different directions allows us to study their internal and external anatomy, it completely destroys the sample. Radiography is a non-invasive and non-destructive alternative, but it only provides a 2D image from a 3D structure. Considering the limitations of these conventional methods, nowadays we prefer to use non-destructive tools such as microCT, which overcomes all of these problems. Micro-CT can be used to evaluate opaque structures both qualitatively and quantitatively. Micro-CT algorithms also enable the evaluation of certain parameters that were previously impossible to assess using conventional methods. Examples of those parameters include volume, surface area and the 3D geometry of the root canal. Because of its non-destructive nature, micro-CT also allows the analysis of the same sample at different timepoints during the experiment and provides more reliable control groups, which makes the research more robust. Once we acquired the SKYSCAN device, we were able to publish many articles in high-impact, international peer-reviewed journals. The SKYSCAN also offers our students the opportunity to go outside of the country and start collaborating with international institutions. Please describe the root canal anatomy project you are involved with. The Root Canal Anatomy Project (http://rootcanalanatomy.blogspot.com/) was a web-based initiative that we launched in 2011. At the time, dental schools in Brazil did not have micro-CT scanners and I believe that, today, most countries still do not have such a device. Our intention when we created this project was to offer free images and videos developed using our SKYSCAN device, to professors, students and also clinicians across the world. Nowadays, the website has more than 1.5 million visitors and our materials have been downloaded more than 300,000 times. Our latest project, which we finished at the end of 2018, was the publication of a book entitled "The Root Canal Anatomy in Permanent Dentition." This book was very important because we had the opportunity to put together all the information that we acquired over the previous 40 years in the laboratory, as well as the most recent data acquired from our SKYSCAN device. We are also happy with the collaboration of several important international clinicians and researchers on this project. Micro-CT for Dental Applications - The Root Canal Anatomy Project - Part Two from AZoNetwork on Vimeo. What makes Bruker microCT systems unique? We chose Bruker’s microCT solutions as our partner for 4 main reasons. The first one is the technical support. Once we acquired the SKYSCAN 1174, a group of application scientists from Bruker visited from Belgium for several days and taught us how to use and manage the device. This was important at the time, because there was no other dental school in Brazil that had the same machine. The support they provided was therefore crucial to us starting our research using this technology. The second reason is the yearly user meeting the company provides in Belgium, which all users of the company’s devices are invited to. This provides an outstanding opportunity to meet scientists from all over the world, exchange knowledge and make some connections and friends, so it is a very pleasant meeting and an important aspect of being a Bruker-microCT user. Thirdly, the software is user-friendly, which is important to us as dentists rather than scientists. We need a device where the learning curve is not as steep as it is with other companies and allows us to easily understand how to manage all of the tools. The software from SKYSCAN is perfect for that. Finally, the availability of the staff is extremely important. Whatever the question we may have or the problem that may need solving, the SKYSCAN Bruker-microCT staff are contactable 24 hours a day, seven days a week and always provide the answers we need. Having Bruker-microCT as our partner is very valuable to this laboratory. Dr. Versiani received his degree in Dentistry in 1992. Since 1994, he has been working part-time in the Brazilian Military Police Dental Department in which he reached the grade of Lieutenant Colonel. He is a certified specialist in Endodontics (1999), but also in Didactics (1998) and Bioethics (2003). In 2015, Dr. Versiani concluded his Master Degree, PhD studies at the University of Sao Paulo, in which he is currently an invited professor and researcher. He has authored several chapters and more than 80 peer-reviewed papers in endodontics, being a member of the editorial board of the International Endodontic Journal. More recently, he published the book "Root Canal Anatomy in Permanent Dentition". Dr. Versiani has lectured worldwide focusing on his main research interests that are the influence of root canal anatomy on endodontic procedures using non-invasive 3D X-ray micro-computed tomography, towards the improvement of both chemical and mechanical debridement of root canals.